while back home, we do a lot of island-hopping, europeans do the same thing too. they just do it only with castles! Germany alone has around 20,000 castles. 20,000 - imagine that! a visit to the castles, in fact, is like stepping back into a time when Kings, Princes and Emperors ruled the land. 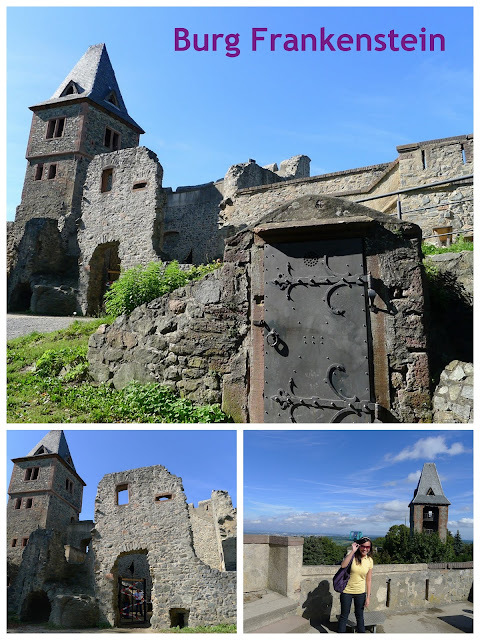 for the weekend, we conquered four of Germany's castles, each with a different story to tell. first stop - Burg Frankenstein! yes, there was a Frankenstein! a certain Lord erected this castle and named it Frankenstein. since then, he called himself Frankenstein. is it related to the monster? it was speculated that Mary Shelley, the author of Frankenstein, have visited the castle and have heard about the story of the duke who once lived here. during that time when knowledge of human anatomy was shunned upon (to the level of witchcraft and the unexplained supernatural), this duke was said to steal cadavers from the nearby graves studying human corpses. that is Frankenstein! up to date, halloween parties are held at this place. next stop - Heidelberg. just for trivia - did you know that our national hero (yes, Jose Rizal!) 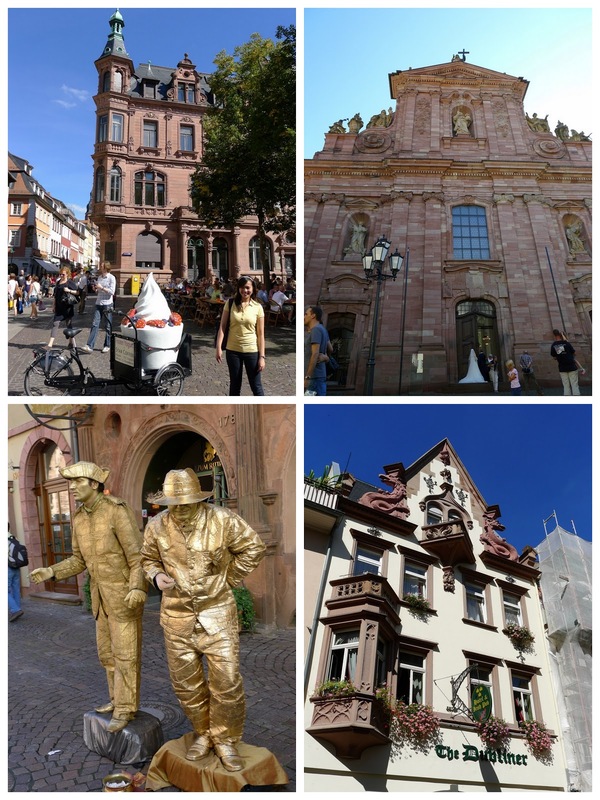 studied in Heidelberg! i was told they erected a statue of him in the university. we passed by the university but i never got to see it though. we had to walk through the town square before we reached the train station which took us to the castle. but i didn't mind, there were lots to see in the town center! and here's heidelberg castle - after the long walk and train ride. 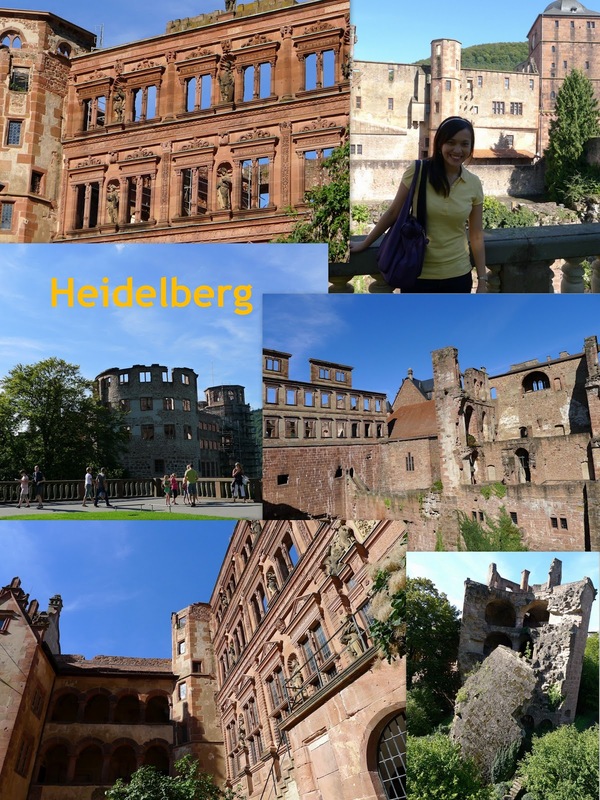 mostly in ruins, the huge and magnificent Heidelberg castle boasts of majestic view of the Old Town and is one of the historical landmarks of Germany. seeing the azure sky as the backdrop of the ruins, i just have to say it out loud - wow! seeing the tower made me think of once upon a time and of Rapunzel too!